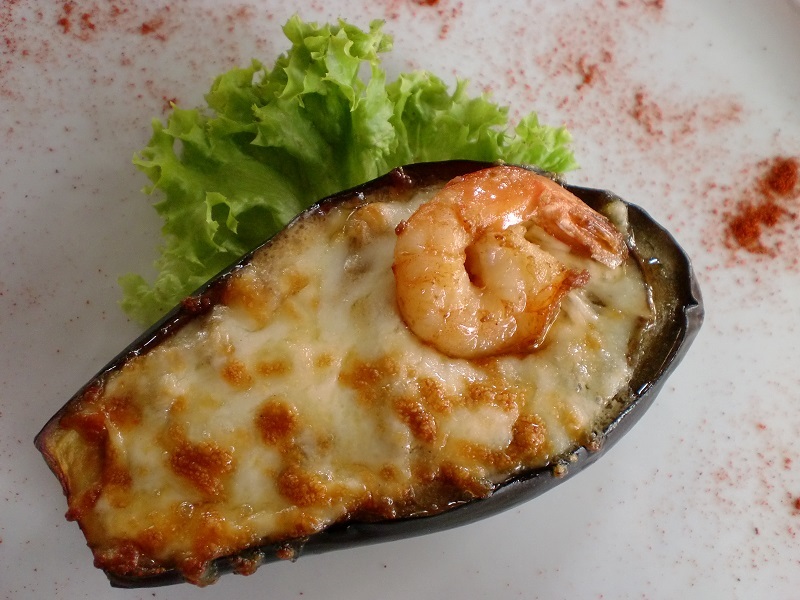 Eggplant/aubergine is my one true culinary love. Not only do I eat it everywhere, I even set an “eggplant” Google alert four years ago. So I decided to finally start this series of posts. 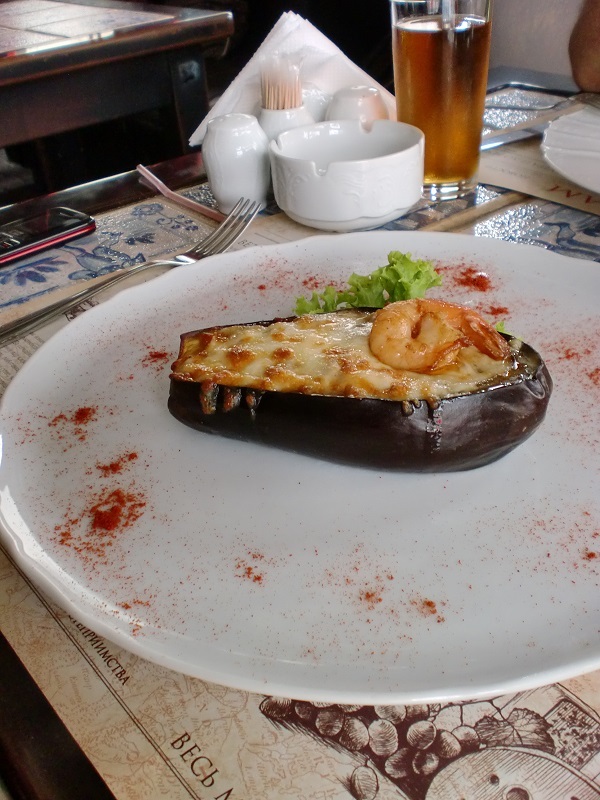 Here is Eggplant a la Creme (stuffed with minced shrimp) from the Amsterdam Restaurant in Rostov-on-Don, Russia. 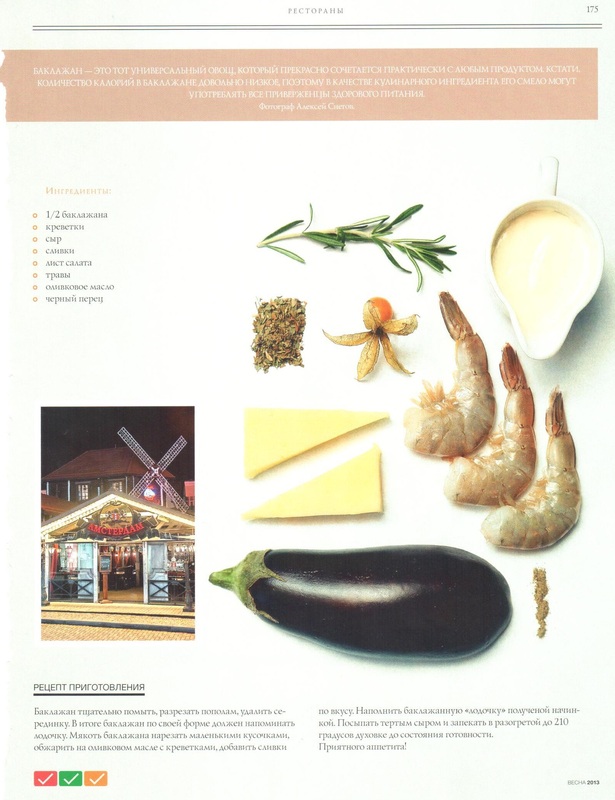 I saw the ad/recipe in the spring issue of Horizon Life&Style magazine. This is what it looked like on my plate. Delicious! It’s beautiful! I need to make this, too. Please translate recipe. I made eggplant yesterday and thought of you!